for their South Carolina wedding. They chose our beautiful gold thermography on our luxe creamy linen stock. 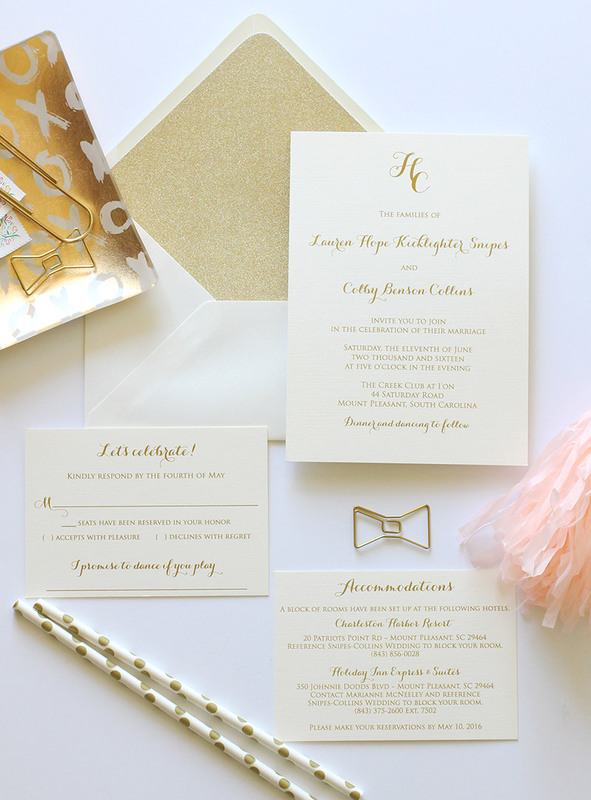 you truly can't go wrong with a gold monogram wedding invitation suite.